Boneless, center cut pork loin is where pork chops, one of America's favorite and most affordable cuts of meat, comes from. 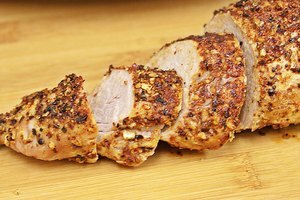 Center cut loin can be slightly tough if cooked at too high heat due to its lean nature, but it is flavorful and full of nutrients. Smoking the center cut is a way of both adding flavor and moisture to the meat. 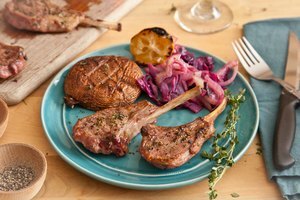 The cut takes minimal preparation and is the perfect centerpiece for a casual backyard barbecue or a formal dinner. Rinse the meat thoroughly under running water. Pat it dry with paper towels, ensuring every crevice is reached. Discard the paper towels. Cover the meat evenly with the dry rub. Press it in to the meat with your hands. Cover the cut with the plastic wrap and insert it in to the fridge. Allow it to absorb the flavors for 24 hours. 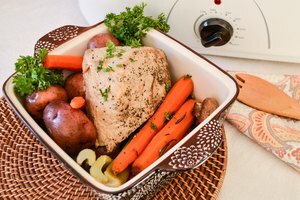 Remove the meat from the fridge and bring it to room temperature. This should take about 30 to 45 minutes. Pour the wood chips into the large bowl. Cover them with water until the chips are submerged by at least one inch. Soak the wood chips for one hour. Drain the wood chips and insert them in to the designated pan in the smoker. Turn the smoker to 275 degrees F and close the lid. Allow it to fill with smoke for 10 minutes before placing the meat on. Cook the meat for 3 hours, or when a meat thermometer inserted in to the thickest part of the meat, at its center, reads 155 degrees F. Replace the wood chips every 45 minutes while cooking. 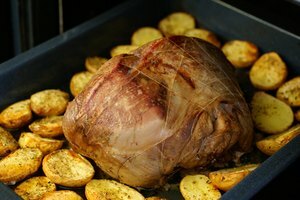 Remove the cut and place it on a counter, tented with aluminum foil, to rest for 20 minutes before serving. 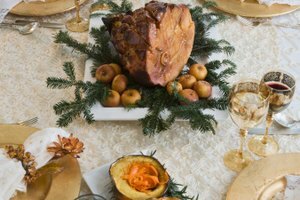 A variety of woods can be used to impart different flavors to the pork, from apple to hickory. Use a syringe to inject marinade in to the center of the meat before smoking for a more tender result. Drape bacon around the cut before placing it on the smoker for extra flavor. The fat from the bacon keeps the cut moist. Do not use salt in the rub before cooking for it can dry out the meat - use after cooking. 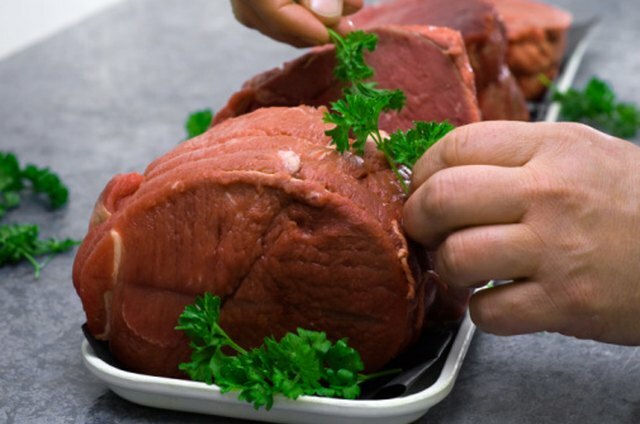 Always disinfect your surface after it touches pork, and never allow the cooked meat to be placed on the same surface as the raw meat - it can contaminate the cooked pork.